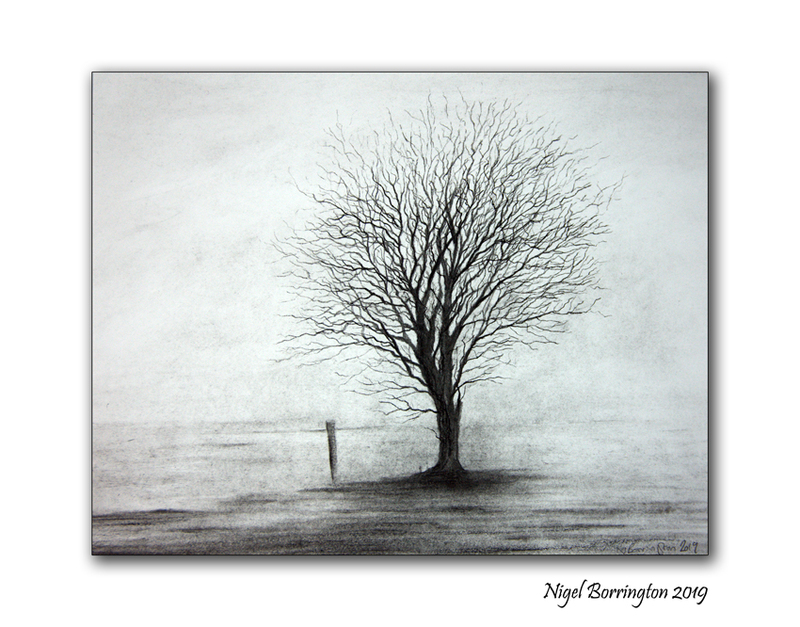 Art Project – Kilkenny winter landscape – Photo,Drawing and Acrylic painting. This is the complete set of images including the original photograph, then the Charcoal and Pencil drawing and Acrylic painting on canvas, from the set of county Kilkenny landscape in winter photos captured last week and that I have spent most of this week working on. This is only the first set of images and I have a lot more work to do yet to produce final drawings and painting of both this single photo and then the full set of other images I want to use. I am happy with the results so far as this is the first none digital art work that I have worked on for a while. The main thing at the moment is that I am enjoying the process very much, its taken a while to get my art desk setup again and to get all the materials in place but now this is done I can just get working and start having some fun getting creative. This drawing uses Charcoal and Graphite pencils on paper to produce what I hope is a moody image of a winters morning over the local Kilkenny landscape. This Painting was produced using greys mixed from Acrylic (Cerulean blue, Crimson, Yellow Ocha and titanuim white)to produces grades of Greys, some cool and some warmer. I hope that this helps to set a feeling of winter in my local Kilkenny landscape, on what was a very cold and frosty morning in mid January 2019.